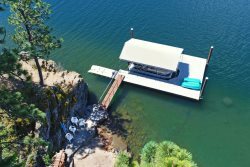 Coeur d'Alene, Idaho Vacation Rentals from Vacation Rental Authority. You will love the quality of the vacation rental homes we offer, with clean, inviting rooms carefully designed for our guests. Welcome to Idaho, your home for outdoor fun. Find the perfect home or condo for your visit to beautiful Coeur dAlene Idaho. View all of our downtown Coeur dAlene vacation rentals here.